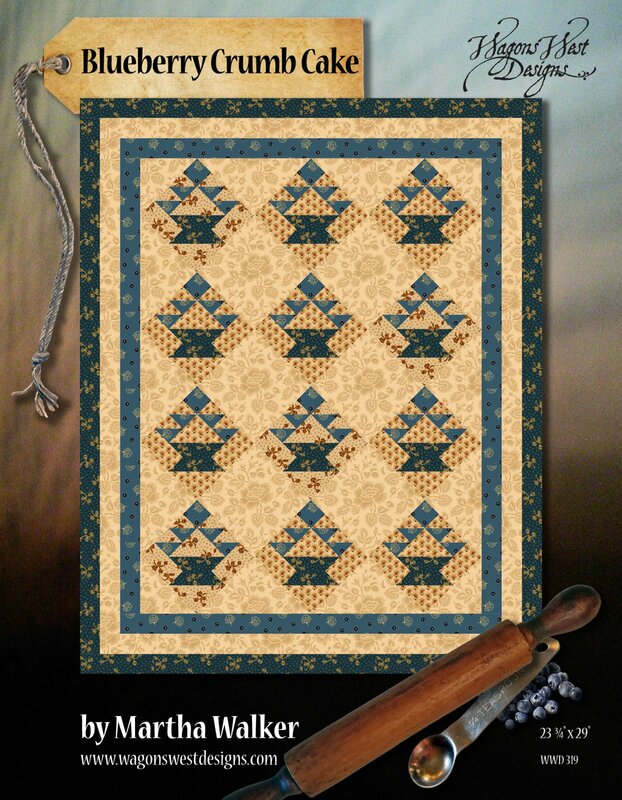 Blueberry Crumb Cake is a 23 3/4" x 29" pieced mini quilt with blocks set on point. The quilt is shown using the A Prairie Journal fabric line by Martha Walker for Henry Glass Fabrics & Co. However, feel free to substitute the fabrics of your choosing. Blueberry Crumb Cake is a 4 page pattern in color, plus cover and fabric collection sheet. The pattern is sold as an e pattern only.